GLAUDI by Johana Hernandez is a haute couture designer specializing in empowering women of all shapes and sizes with bold, elegant styles. Made in the cosmopolitan city of angels, Los Angeles, celebrity designer Johana Hernandez specializes in haute couture dresses and bridal speaking to the heart of the modern woman. 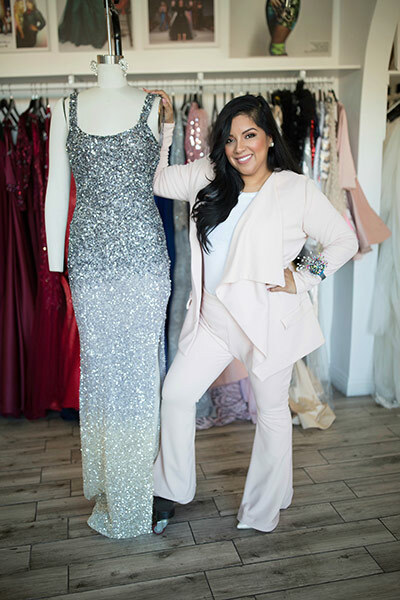 GLAUDI couture house provides a luxury experience favorite among celebrities such as Gina Rodriguez, Nichole Richie, Gloria Trevi, Lucero and many more. 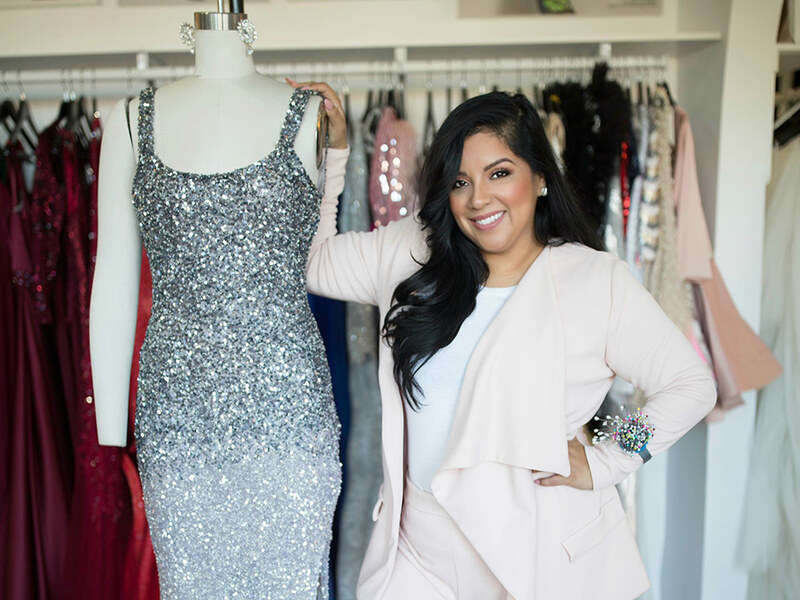 GLAUDI designer Johana Hernandez who was Nominated by PEOPLE magazine en Español in 2014 as “25 most powerful woman” and Latina Magazine “30 favorite stars under 30” was honored for her success as a hardworking and inspiring designer. Johana now reflects her passion in each gown made to your measurements and custom designs making you fashionably unforgettable. Johana came from a humble family she was born and raised in the city of Compton and her parents worked long hours in sweatshops, sewing for brands such as Guess, Calvin Klein and Gap. As her time was invested in the sweatshops with her parents, Hernandez’s passion for fashion ignited. At only 19, she earned her first job as a head designer, where her first collection was featured on the Wall Street Journal. At 22, she became head designer of Seven7 Jeans where she also designed for license for Isaac Mizrahi Jeans, Eli Tahari, and many more. Her designs have been sold worldwide at mass retailers such as Saks Fifth Avenue, Macy’s, Bloomingdales,and many more. Now you can find GLAUDI in Paris Fashion Week, New York Fashion Week, LA Fashion Week and across the globe. Johana was mentored by Nichole Richie, Jessica Simpson, and John Varvatos on the international show on NBC “Fashion Star” and currently stars as a judge on Amazon Prime show “The Fashion Hero.” Through her talent her favorite message to share is “GOD is Fabulous! “ who knew a girl from Compton would create a brand of luxury and sophistication. Why is the brand called Glaudi? What inspires you to create your collections? Being a woman! From growing up dreaming to be princesses to dreaming to be married in a stunning gown! Im inspired by women with dreams who want to be best dressed while winning there Oscar/Grammy awards. Im inspired by women who don’t settle to blend it but to stand out to achieve all there dreams and Im here to be part of making there dream come true! What sets your brand apart from all the other brands? GLAUDI has so much history as I am from a family of sewers and designers in Haute Couture all is hand made and beaded here at GLAUDI and we take pride in the detail we give our designs. At GLAUDI I design dresses for all shapes and sizes making every woman love her body! What is that one thing that you will never forget growing up? That my parents always told me I can achieve it all ! Bothe of my parents told me I was the most beautiful, smartest, kindest girl and this helped me so much as my confidence is strong thanks to amazing parents! With chains of stores global for sure New York, Miami, Texas, Paris, Italy, Mexico and El Salvador. I would love for Saks Fifth Avenue, Neiman Marcus, Bloomingdales, Nordstroms carry GLAUDI! And to win an award from the CFDA. The dream is through the growth of GLAUDI to build a fashion school in El Salvador to help people in small towns learn how to sew and design to hire them to work in GLAUDI or with other factories and companies! What charitable foundation is close to your heart and why? Helping kids from all over the world with education supporting schools in cities like Compton where I grew up or poor towns all over the world as I feel when investing in kids and young adults is setting our future to be more successful! You have an upcoming show in Paris? What is that like? A dream its my second season back to Paris and it’s a dream. Paris loves and respects Haute Couture and the time and work it takes for each design and I love it Im inspired by everything in paris from the walls to the language and the food. Having my collection be loved in Paris makes me feel at home and respected as a designer. Love, kindness being open to connecting with others sharing my passion for God and life ! brings me joy! What is something we don not know about you that will surprise us? I love horses and dream of owning one when I get older ! but I haven’t mastered to know how to ride them so on the little free time I have I go horse back riding! My Girl Power GLAUDI short shiny dresses they will make a statement at an event I wear them too. Fashion tips for your audience? Don’t be afraid to stand out! Be that girl who doesn’t blend in so try new designs that makes you feel confident and you will only learn about what fits you best by getting out of your comfort zone and trying new things! Minimalist I don’t like to get in the way of my work mode and designing. What advice can you give emerging designers? There will never be the right moment to start just start!